iPort's Launch Port system uses magnets and wireless charging enabling you to effortlessly dock an iPad on a wall or table, without fuss. The system consists of a docking Station and an iPad Sleeve. The Launch Port AP.5 Sleeve works with iPad Air and iPad Air 2 and docks with any Launch Port Station (sold separately) on a wall or on a table. The Sleeve keeps iPad protected, and audio wave guides re-direct iPad audio towards you for a better media experience. Available in Soft-touch black or high-gloss white finishes. 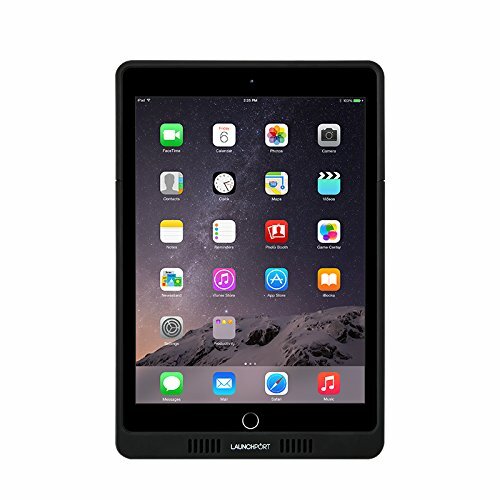 Dedicate an iPad with a Launch Port system to control your smart home or conference room tech. Ships with a power adapter and international connectors for use in most countries.